The OpenNebula Team is happy to announce the new OpenNebula IRC Sessions. In these sessions the OpenNebula developers will be available for questions in the #opennebula IRC channel on irc.freenode.net. The developers will answer questions about the new features or development and configuration issues that cannot be found in the mailing list archive. These sessions will usually be scheduled in the first week of each month. 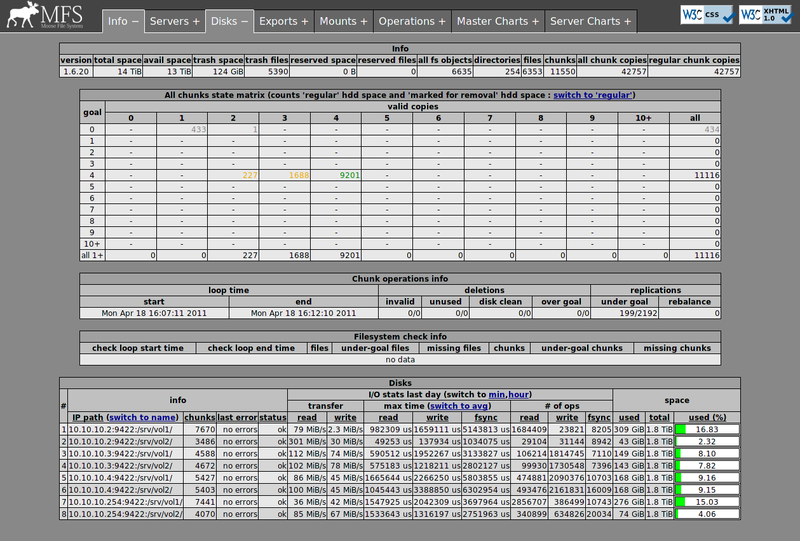 C12G has created a new article to describe how to extend the OpenNebula monitoring system. OpenNebula needs to monitor the physical resources known to the system in order to extract information that in turn is used by the scheduler to enforce (and comply with) placement policies, keeping the host capacity from being overbooked. The Monitoring System in OpenNebula follows the design guidelines present in the rest of its architecture, including the modularity present in other components. This modularity is expressed in this case in a plugin approach, where the information is extracted using ‘probes’, basically simple scripts that return pieces of wanted information. This new howto shows how to extend the Monitoring System to extract information about disk space availability, and then use it in the Virtual Machine templates to ensure the presence of enough disk space for the image in the chosen host to run that Virtual Machine. When running many VMs with persistent images, there is the need to have a shared storage behind OpenNebula hosts, with the purpose of faster recovery in case of host failure. However, SAN are expensive, and an NFS server or NAS can’t provide either performance or fault-tolerance. A distributed fault-tolerant network filesystem takes easily place in this gap. This alternative provides shared storage without the need of a dedicated storage hardware and fault-tolerance capabilities by replicating your data across different nodes. I am working at LiberSoft, and we evaluated the usage of two different opensource distributed filesystem, MooseFS and GlusterFS. A third choice could be Ceph, which is currently under heavy development and probably not so production-ready, but it certainly would be a good alternative in the near future. Our choice fell on MooseFS because of its great expandability (you can add how many disks you want, any size you prefer) and its web monitor where you can easily check the status of your shared storage (replication status or disk errors). So we published on the Ecosystem section a new transfer manager and some basic instructions to get it working together with OpenNebula. We had promising results during the testing deployment of 4 nodes (Gateway with 2x Xeon X3450, 12GB ram, 2x2TB SATA2 disks) for a private cloud at National Central Library of Florence (Italy), that will grow hence most Windows and Linux servers will get on the cloud in the next few months. The requirements on this project were to use ordinary and affordable hardware and open-source software to avoid any possible vendor lock-in, with the purpose to lower energy consumption and hardware maintenance costs. VMware Driver that enables the management of an OpenNebula cloud based on VMware ESX, vCenter and/or VMware Server hypervisors. Several bugfixes have been included, as well as compatiblity with OpenNebula 2.2. LDAP Authentication Module that permits permits users to have the same credentials as in LDAP, so effectively centralizing authentication. Now tested against OpenNebula 2.2. Accounting Toolset that visualizes and reports resource usage data, and allows their integration with chargeback and billing platforms. Now tested against OpenNebula 2.2. OpenNebula Express that eases the installation and deployment of OpenNebula clouds, now updated to install OpenNebula 2.2. C12G Labs would like to point out that the OpenNebula Project endorses these extensions and supports them through the user mailing list. Moreover, the project ensures its full compatibility with current and upcoming releases of OpenNebula. There are more than 100 downloads of OpenNebula per day from our download site, and there have been more than 50,000 downloads since we released our first version in March 2008. Additionally, the code can be also downloaded from our software repository and from the several commercial and open-source distributions embedding our leading technology for cloud management. Some weeks ago we started an initiative to create a list of organizations using OpenNebula. This ended up being more difficult than we expected given that many of our main users in the private industry, which are running very large scale infrastructures with thousands of nodes or even with datacenter federation, did not allow us to include their names on the list. The reason behind this is that cloud computing is a strategy move for most of these companies. In spite of this, we have finally created a nice list of featured users from different industries that include Hosting Providers, Telecom Operators, IT Service Providers, Banking, Government, Professional Services, Supercomputing Centers and Research Centers. The list is not complete, we still have some emails to process. If your organization or project is not listed, and you would be willing to be listed, please fill out this really quick form or contact our community manager. We thank all the organizations that have allowed us to include their name on the list! https://opennebula.org/wp-content/uploads/2018/11/opennebula_cloud_logo_white_bg-4.png 0 0 Ignacio M. Llorente https://opennebula.org/wp-content/uploads/2018/11/opennebula_cloud_logo_white_bg-4.png Ignacio M. Llorente2011-04-14 17:20:552011-04-14 17:20:55Who Is Using OpenNebula? Cloudscape III – Driving Europe’s Cloud computing Strategy – took place on the 15 and 16 of March in Brussels offering the perfect opportunity for experts, developers and end-users in the cloud computing space to become part of the cloud standards process. The event, hosted by the EC-funded SIENA initiative, brought a 360° overview on the Cloud computing landscape, covering benefits for enterprise, research and government alongside challenges spanning scalability, data movement, ownership and privacy, security and legal issues, openness and interoperability. 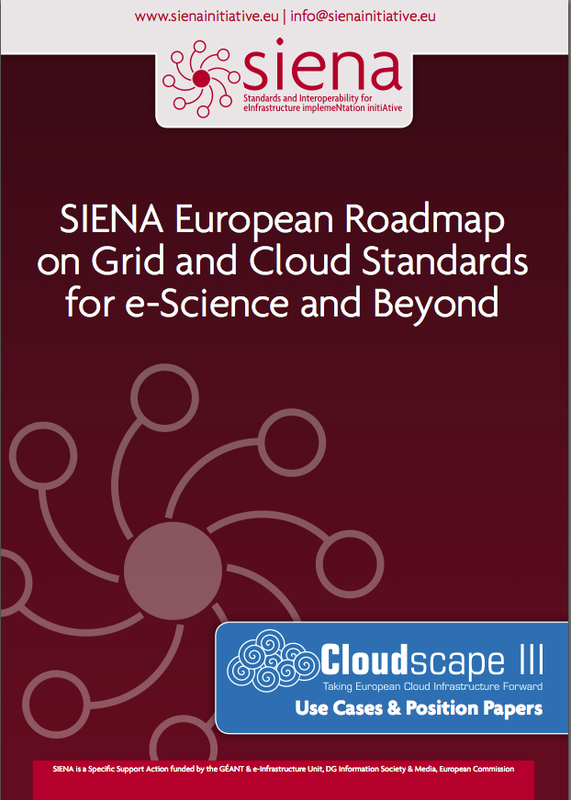 The SIENA initiative presented its document SIENA European Roadmap on Grid and Cloud Standards for e-Science and Beyond. This document addresses requirements, technologies, and interoperability and standards for e-infrastructure to support existing, ongoing, and future research in the European Research Area. The document includes use cases and position papers collected for the Cloudscape III event. Many of these use cases refer to OpenNebula as core component in their architecture and as a reference open cloud stack to enable interoperable enterprise class cloud computing platforms. Our presentation in this strategic event described the position of OpenNebula on interoperability and standards for cloud computing.